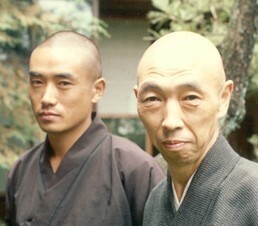 Antaiji belongs to the Soto Zen school. 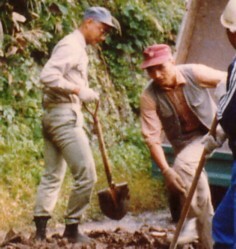 It was founded in 1923 by Oka Sotan as monastery for scholars to study the Shobogenzo. 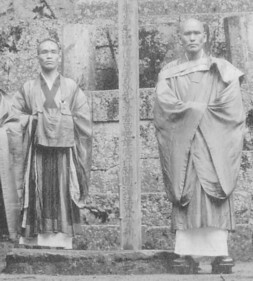 At that time it was located in northern Kyoto, and many leading scholars studied there. 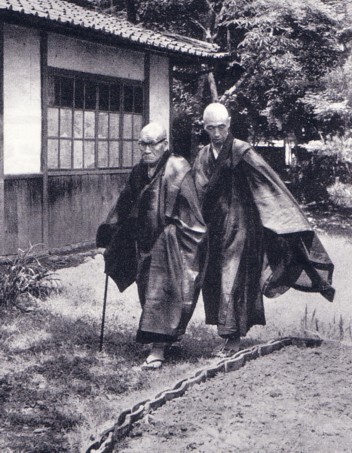 During the second worldwar though, Antaiji was vacated until in 1949 Sawaki Kodo and Uchiyama Kosho, teacher and disciple on the buddha way, moved into Antaiji and made it a place for the pure and simple practice of sitting Zazen. But the increase of visitors and the many new houses being build around the temple created much noise that made it difficult for the practice to be continued. Therefore the following abbot, Watanabe Koho, decided to move Antaiji to its present location in northern Hyogo. Together with the quietude of the mountains, he was looking for a new life style that would bring Zen back to its Chinese roots of self sufficiency. His disciple, the German monk Muho, continues as the present abbot. He presently tries to create a new and lifely sangha here at Antaiji. He is waiting for you to become part of the history of a new Antaiji.